January is here and with it – stamp clubs return!!! This week I am meeting with 3 of my stamp clubs – it’s a good week indeed! My club on Wednesday evening is making cards with the new stamp set, “Bordering on Romance”, found in the new Occasions Mini Catalogue. 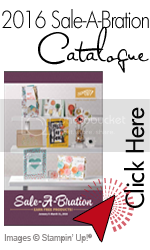 This set partners nicely with the new Edgelits dies and Adorning Accents embossing folders – both products found in the Occasions Mini as well. 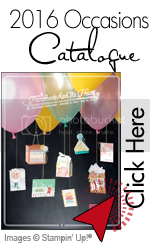 Also new on this card are the frames for the flower image – they are cut with the new Framelits Dies – Labels Collection. I saw this exact card on the demo-only site Stampin’Connection and just had to re-create it, with just a few alterations – I love it!! Very pretty cards. Love the new framelit dies. so, so beautiful!!!! you did such wonderful projects with this set. I just ahve to cased one of them for my Consider It Cased week.